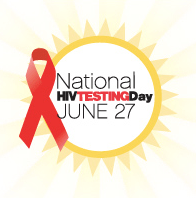 Established in 1995, National HIV Testing Day is about promoting HIV testing. This year in observance of this important day and cause, I am happy to announce that Medwiser is releasing a new organizational website which prioritizes educating others about the importance of HIV testing. The new website located at Medwiser.org features a new animated video introducing HATS, the HIV/AIDS Test Screening Software. HATS can answer one basic question: Do I need an HIV test? It is based on guidelines provided by organizations such as the Centers for Disease Control (CDC) and the United States Preventive Services task force (USPSTF). If you are looking for something important to do for June 27th to help eliminate AIDS, I would suggest being evaluated for HIV testing. If you have never had a test and are between the ages of 13 and 65, the CDC or USPSTF would suggest you get a test. HIV testing is one of the most important tools for ending the disease. To find a location for testing, you can use the HIV testing search tool that is on the right hand side of our website. Our website was developed together with over 20 volunteers. They worked on everything from web design, content creation, editing, analysis, fact checking, layout. I am proud to have worked with each and every one of them to launch this new and important site.